Apartment Features Home office with printer/scanner; two TVs, cable, and WiFi. 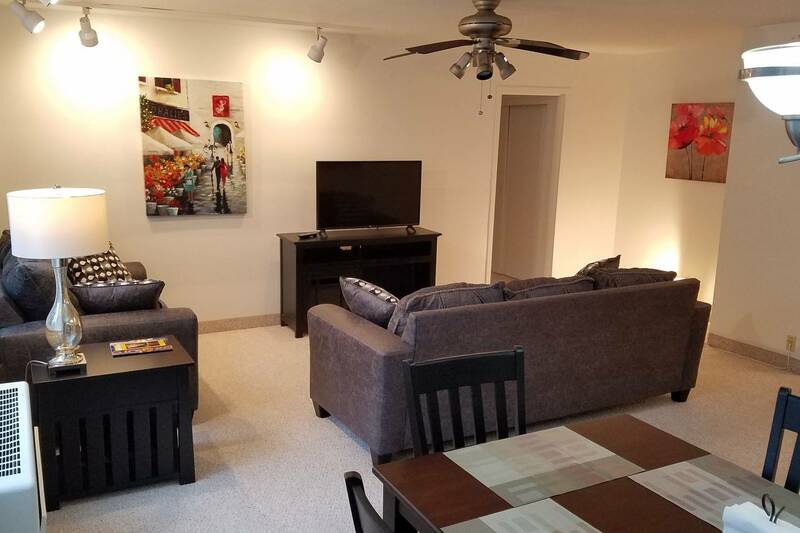 Spacious living room with queen sofa bed and loveseat, 43" SMART TV, dining room that seats six; gorgeous new kitchen and central air conditioning; all utilities included; and unit is accessible with a Smart Lock. ApartHotel Features This Mid Century Modern building was built in 1959 and has six floors. It is located on East Avenue which is considered the most prestigious street in Rochester. The building is in walking distance to the Park Avenue and in near the George Eastman Museum. 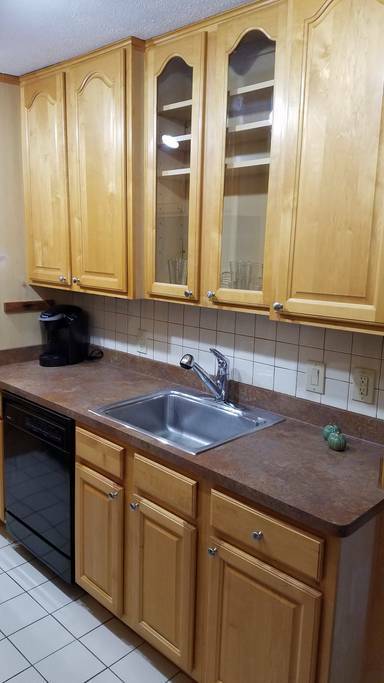 Kitchen Fully equipped cherry wood galley kitchen with refrigerator, stove, microwave, dishwasher, Keurig coffee maker, full-set cookware, and dishes. Laundry Laundry room located on the basement level and ample storage. 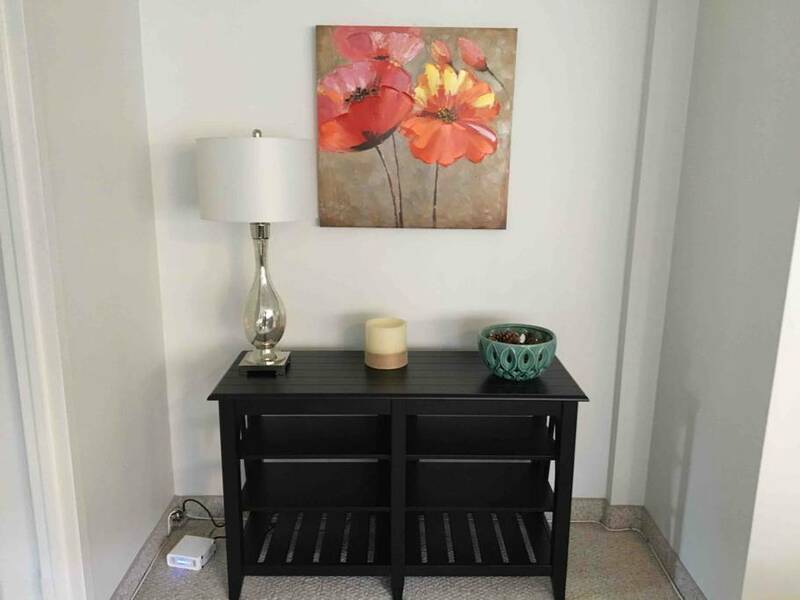 A beautifully furnished 2bdr/2bath apartment offers every amenity you would expect from a home away from home. 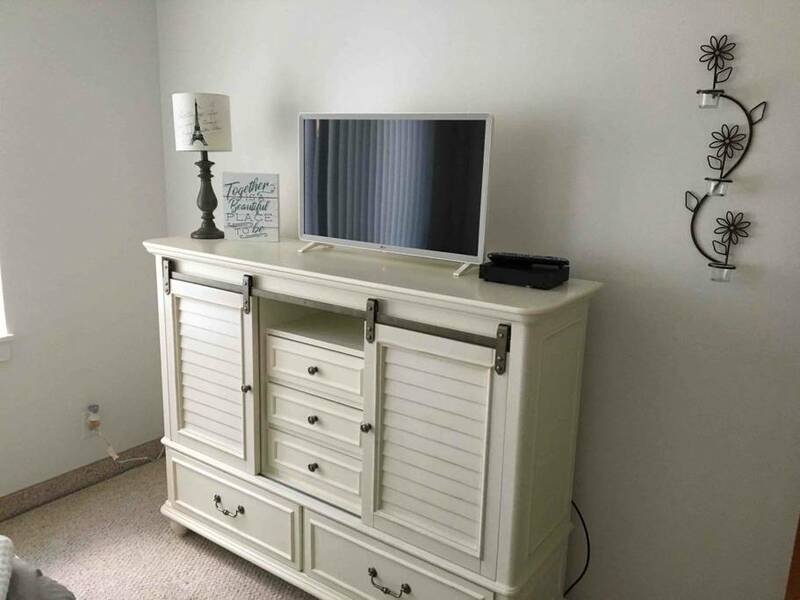 Home office with printer/scanner, two TVs, cable, Wifi, fully equipped kitchen, Keurig coffee maker, microwave, dishwasher, central A/C, laundry, storage, off-street parking. 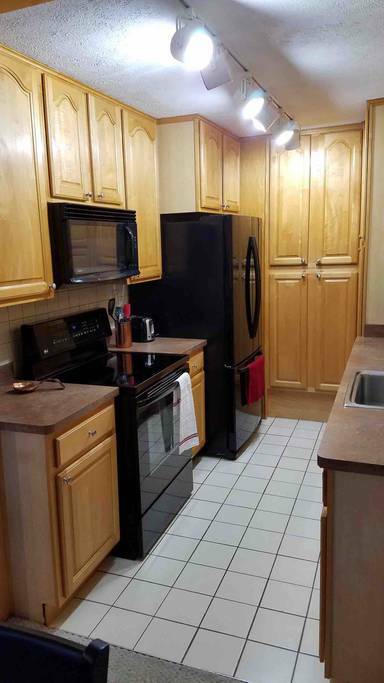 Perfect location, -minutes from restaurants, nightlife, museums, and shopping!. We are looking forward to hosting you! 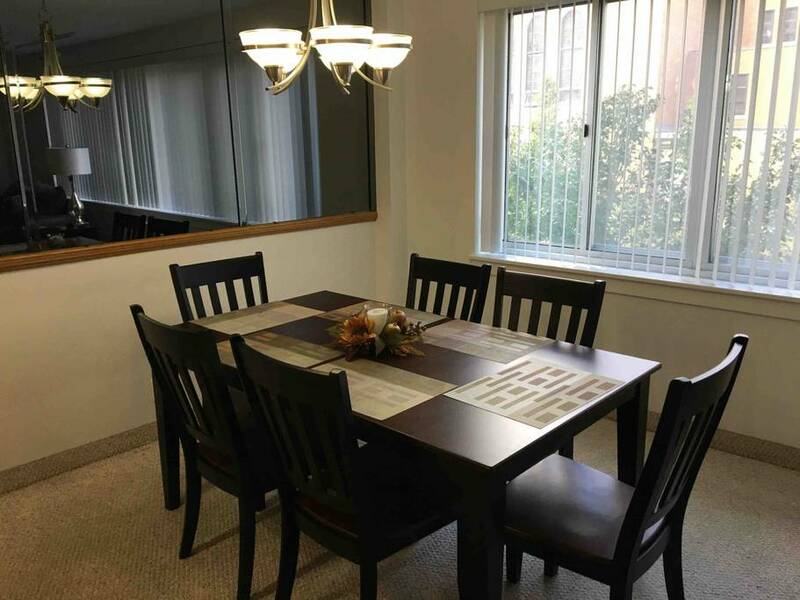 This is a spacious apartment that you can enjoy with your family while visiting Rochester. The living room has a Queen sleeper sofa, loveseat, and 43″ SMART TV. The dining room can accommodate six individuals very comfortably and the kitchen that is right off the dining room has gorgeous cherry cabinets with refrigerator, stove, microwave, and coffee maker. 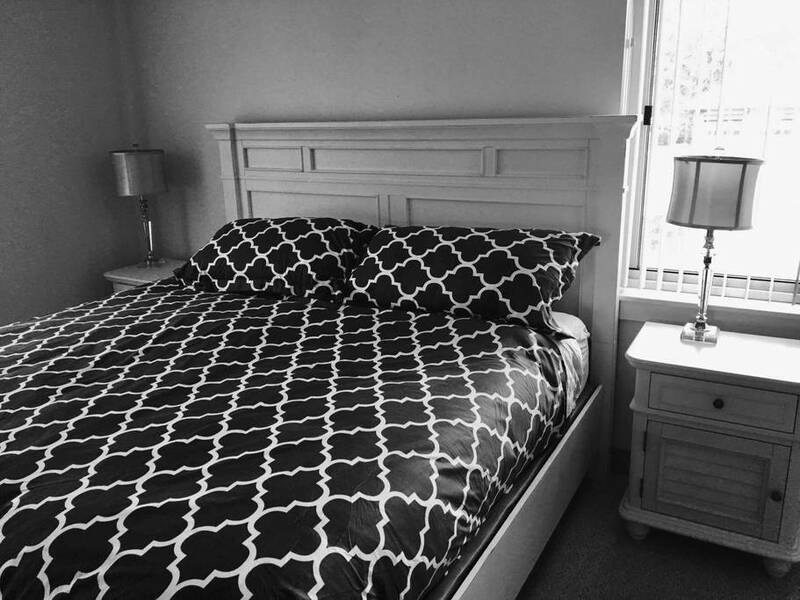 There are two beautifully appointed bedrooms; one with a King sized bed and has a home office within it and the second bedroom has a double and single bed providing plenty of room a large family or group of friends. 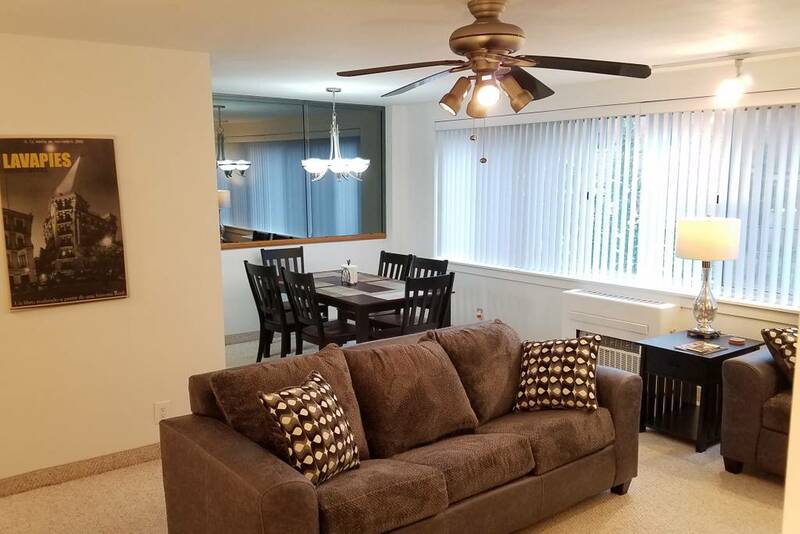 The condo has central A/C and all the utilities are included whether you are looking for a short-term or extended stay while visiting the Greater Rochester area. 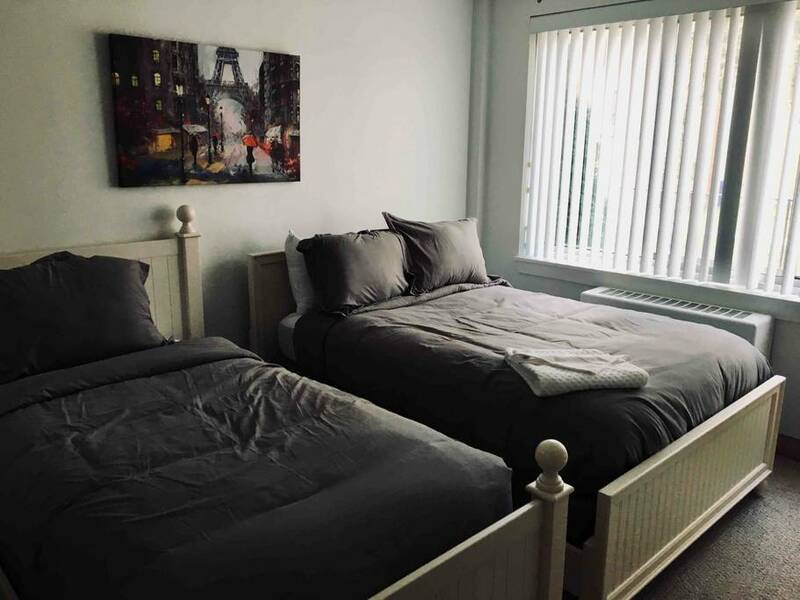 If you are looking for an alternative to expensive, inconvenient extended stay lodging or those found in traditional bed and breakfasts, then try 1000 East Avenue; a distinctively different accommodation experience.